25g/1oz - a soothing herb for the whole gastric tract. May help for respiratory problems and throats. May help for thinning blood fats. Make a tea with the seeds. Traditionally used to help increase milk production in nursing mothers. In cooking, it is used in curries and has a slightly bitter taste. 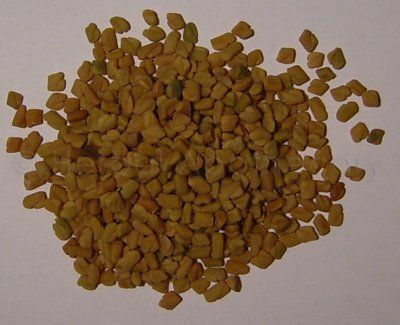 Fenugreek can come out of the pores of the skin and you may notice a slight smell of curry the next day esp. in your sweat.